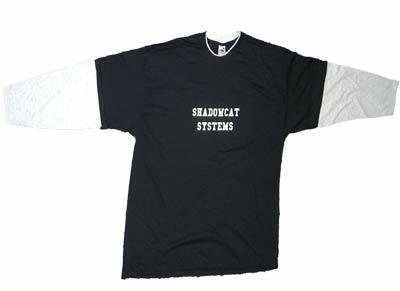 The 2008 "exclusive edition" Shadowcat T-shirt will be on display on the bodies of Shadowcat Staff during the 2008 conferences. 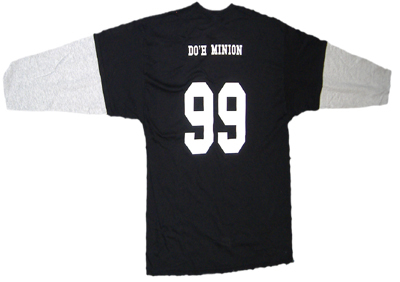 This high-quality cotton, black t-shirt boasts a unique design done by Mark Keating which will be available only to Shadowcat Staff members and two lucky individuals who can try to obtain one of the two special number 99 DO'H MINION Ts which will be with Mark Keating at YAPC::EU 2008. These items are not for sale, though Messers Keating and Trout are open to persuasion :). Look out for Shadowcat Staff members at the various conferences and events this year where they will be modelling (in the loosest possible sense of that word) these exclusive t-shirts. 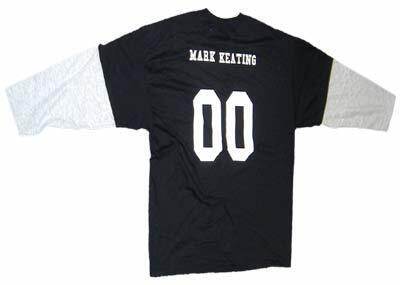 And don't forget that staff may be carrying exclusive 2007 shirts to distribute.